We think that the duty of the long-established store as our company is not to stir nostalgia but to "create Wa (Japanese style)" which can attract the attention of modern age. 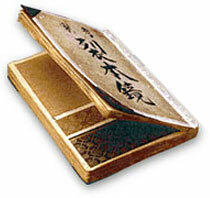 Our company, founded in Kyoto in Bunsei 11 (1828), is a "classic yet new" company. Our philosophy of business is to provide products that satisfy the present age's needs not by utilizing our old tradition which has been cultivated for generations by us, the long-established store, only in the world of traditional beauty, but by expressing the tradition as fresh design motifs in the various life scenes in the modern world. Our company is a very unique fabric manufacturer which has achieved an overwhelming line of products by specializing Japanese-style clothing fabric (Wakiji). We draw a line between our clothing fabric and so-called "Kimono fabric". Our company is a specialty store of Japanese-style clothing fabric, providing a wide variety of products, including various Chirimen (crepe) Yuzen, various kinds of Japanese-designed prints, Japanese-designed yarn-dyed fabric, washcloth fabric, persimmon-tannin and genuine indigo-dyed linen and genuine Inden (deerskin). Our clothing fabric has a wide range of application from the field of Wa-zakka (Japanese-style miscellaneous goods), small articles and handicrafts to the field of home interior, apparel and stationery. We are actively engaged in unrivaled, own-style-pursuing product planning and development. Our product lineup, with "dying" and "weaving" as a principal axis, is no equal to that of other companies. 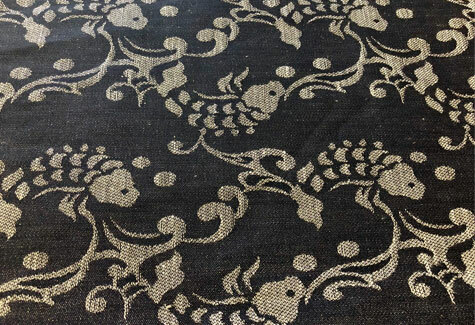 For example, we are providing "replica Chirimen (crepe) of old cloth", which is dyed in just the same color shade as in times past by using the old Yuzen dying pattern of children's gala kimono in the past without modification. 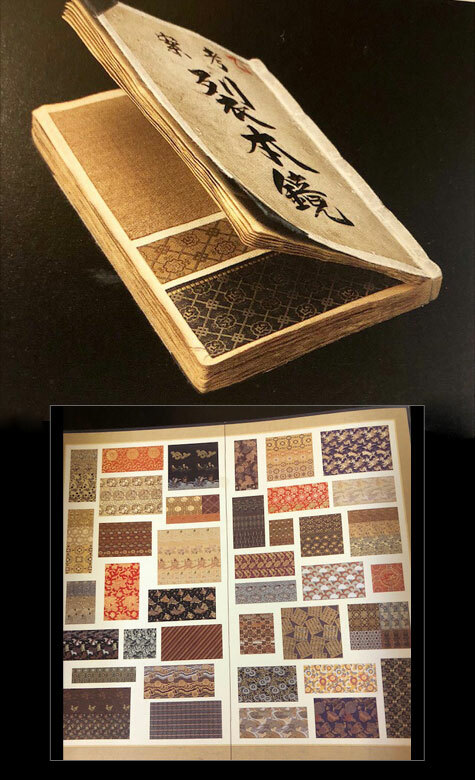 We are also providing unique apparel material with Japanese pattern printed in the entire cloth such as "ancient Nishijin-brocade" denim, georgette and smooth, which bring traditional artistic fabric in the Meiji era back into life with a touch of modern taste based on the book of patterns of split of clothes of those days, which have been preserved in our company. Recently, we are not only supplying clothing fabric but are also dedicating to provide OEM products of Japanese-style miscellaneous goods with the intention to develop a new business field by making full use of the information source as a Japanese-style clothing fabric specialist as well as our planning and proposing ability; thus, we are attracting much attention as a general producer of "Wa (Japanese style)". ※We are waiting for the inquiry from a customer. English spoken staff available! We aim to be your Japanese fabrics select shop. There are as many textile makers and cloth wholesalers as there are stars in the sky, however there are hardly any Japanese fabric specialist shops in the world. We aim to be a Japanese fabrics select shop offering various styles of material based on the materials 'dyes' and 'weaving' and present these wonderful items to the marketplace. We carry so many different styles of material that it is not possible to present them all on our website, but we will introduce our representative products, unique items and popular items.